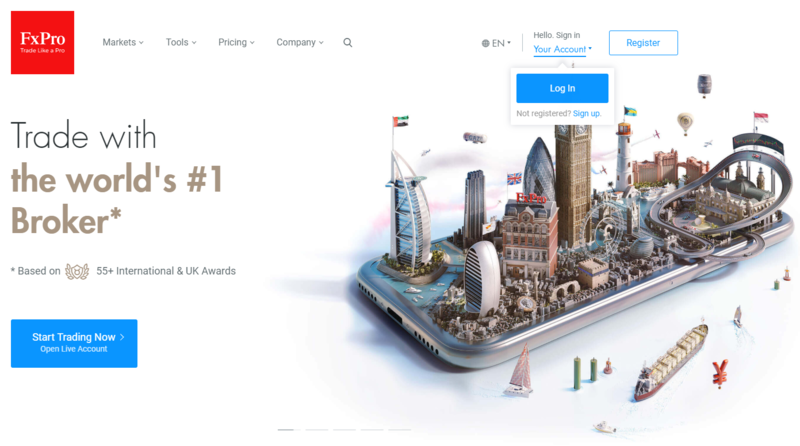 HomeForex and Cryptocurrency Broker ReviewsFXPRO Review – Is FXPRO Right to Claim the World’s Best Online Broker? When you are looking for an online broker to start your trading career, you will come across hundreds of options today. However, picking one from the bunch can be a challenge because there are so many things to compare. Rather than making the job difficult for you by comparing dozens of brokers, you should already narrow down your list to the best ones out there. FXPRO is one of the best brokers for CFD and futures trading, and it claims to be the best based on the awards it has collected in fifteen years. 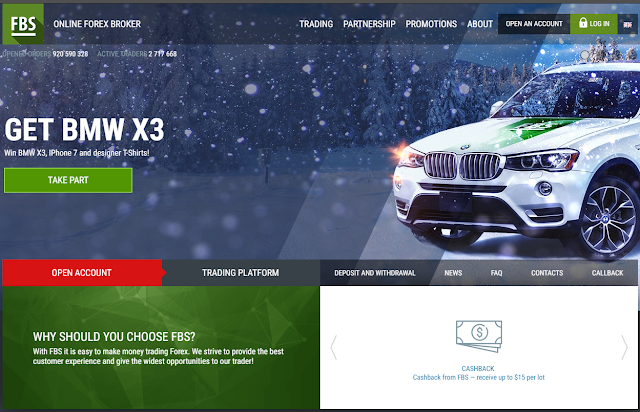 Awards are great but do the traders get an award-winning experience while trading with FXPRO? Get to know about this broker in this FXPRO review and decide for yourself if it really is the best out there. There is no doubt that FXPRO is one of the biggest brokers in the world when it comes to CFD trading. The idea of the company was conceived at the very beginning of the 21st century. By 2006, the founders of the company had laid the foundation of FXPRO. Since that day, the company has been growing. The broker is proud to announce on the website that it is still growing. Of course, it is impressive that FXPRO has its traders trading on its platform from over 170 countries of the world. There might not be many brokers with such an expansive market of traders using their platforms. The first thing most traders worry about when signing up with a broker is safety, regulation, and security. You don’t want to sign up with a broker that’s not registered and regulated by known authorities. You can trade on FXPRO’s platform with the peace of mind because the broker is authorized to provide its services and regulated in many countries of the world by their regulating authorities. Just in the UK, it is Financial Conduct Authority that regulates and authorizes FXPRO UK. FSCA authorizes the FXPRO Financial Services Ltd whereas Cyprus Securities and Exchange Commission authorizes and regulates FXPRO Financial Services Limited in the country. It has proper authorization and regulation by the world’s renowned regulating authorities in many other countries as well. When you trade with FXPRO you know you are with the right people and that your money is in safe hands. When it comes to expansiveness, there are not many brokers that can even come close to the size of FXPRO. The company has only been in business for 15 years but it already has traders from more than 170 countries. Every second, the multiple trading platforms of the broker are executing nearly 7,000 orders. The company currently operates with more than 200 employees. Some of the big magazines of the world have called FXPRO the most trusted forex brand and the best FX provider. To date, the broker has helped complete more than 250,000,000 orders from more than 870,000 traders. When you look at the number of client accounts, you will be hard pressed to find another broker as impressive as FXPRO. Once you have found out that the broker you are looking at is reliable and trustable, the next important thing to know is the trading experience. You have to see what you can trade on the broker’s platform and if you will be able to trade with flexibility or not. You have access to a number of financial markets when you open your account with FXPRO. You can trade all types of tradable assets that might interest you including forex currency pairs, indices, shares, futures, energies, and metals. When it comes to forex trading, you have all the major and minor currency pairs to choose from. You can choose from the stable currency pairs and the most volatile ones. On some currency pairs, the broker offers you fixed spreads whereas on some, you have floating spreads as well. Just like the forex trading, you have a lot of options with futures trading as well. If the idea of futures trading seems interesting to you, there are more than two dozen futures to trade on the platform. All the major indices of the world are also available for trading. If you are someone who takes interest in energy trading, you currently have BRENT, WTI, and NAT.GAS trading options available on FXPRO platforms. For more simple form of trading, you can go with metal trading as well. While people find gold and silver trading to be most attractive, they can trade Platinum on the website as well. When on the website, you will notice that the list of shares that you can trade with FXPRO is the biggest. The shares come from the biggest companies located in countries like Germany, the US, France, the UK etc. In short, you have a lot of options and flexibility of trading whether you are new or old to trading in the financial markets. How well you trade today depends greatly on the type of trading platform you have available. 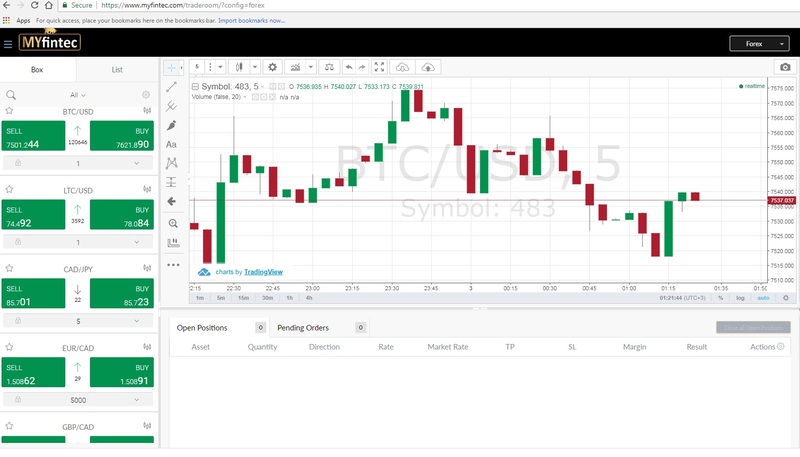 Some of the things that matter on a trading platform include ease of trading, availability of tools and indicators, real-time execution of orders, etc. The one thing you don’t want is being stuck with one and the only trading platform that your broker offers. FXPRO takes the cake when it comes to trading platforms because it offers so many of them. You can choose the platform based on your trading style and preferences. In a way, you have all the types of trading platforms available. With most of the online brokers, you will get access to MetaTrader 4, which is considered to be one of the easiest and most trader friendly platforms in the world. However, FXPRO goes a step further and gives you the option of trading on MetaTrader 5 as well. What most traders love about the MT4 and MT5 platforms is the fact that they can customize them according to their preferences. MT5 is an even better version of its predecessor MT4 platform. That’s where most other brokers stop. However, FXPRO goes the extra mile here again and offers you some more trading platforms. In addition to the MT4 and MT5 trading platforms, you can also choose to trade on cTrader. In order to use this platform, you have to download it on your computer first. On the other hand, MT5 is web-based. Although it remains a newcomer compared to the MT platforms, it has won the hearts of many traders for the user-friendly interface and tight spreads offered by the brokers. With cTrader and MetaTrader 4&5, you are getting the best of both worlds. Taking things a little further, FXPRO has now introduced FXPRO Edge. If you are aware of the concept of spread betting then FXPRO Edge is for you. The software is still in its beta version at the moment though. When it comes to market execution, there is no software faster than the FXPRO cTrader. If you are someone who interests in fixed spreads, you will have to stick to the MT4 platform because that option is not available on the two other platforms. You can always know more about the platforms on the website where you can find a detailed comparison among the three platforms. So, whether you are sitting at home or traveling around the world, you always have the option to keep an eye on the market and execute your trades with the help of these trading platforms. To execute any order, you need to create an account with the broker and then fund this account with the required amount of money. This is an area where FXPRO beats most other competitors in the industry. With most other brokers, you are stuck with the three big currencies of the world to fund your account. With FXPRO, you can fund your account using eight different currencies. The minimum deposit, when you are depositing your money in GBP, USD, AUD, EUR or CHF, has to be 500 units of that currency. You can also deposit your funds using ZAR and JPY. All the safe methods of depositing the money are available with FXPRO. You can pick the bank transfer option and that would allow you to deposit and withdraw your money without any fees. When it comes to credit cards, not only can you use Visa and MasterCard, but you can also use American Express and Maestro. Once again, you can make your deposits and withdrawals using this method without incurring any fees. Irrespective of the method of withdrawal you choose for your funds, you will have to wait for at least one business day. On the other hand, time taken for deposits is only around 10 minutes. If you are an active user of e-transfer methods, you have a lot of options available there as well. You can use Paypal, Union Pay, Neteller, and Skrill to deposit funds in your account. In short, all the safe and modern methods are available for FXPRO traders to deposit funds in their accounts and withdraw them. One of the most unique ways of transferring funds in your FXPRO account has just been launched by the company. This method has been named FXPRO Wallet. It is now possible for you to keep the money in your FXPRO Wallet and transfer it in your account only when you need it. The complete process of using this method to deposit and withdraw funds from your account is available on the website in a downloadable format. Customer support from FXPRO is just impressive. It will not be wrong to call it one of the best customer support services in the online trading industry. FXPRO has taken personalization to a completely new level by hiring multilingual customer support agents to help its customers with their queries from around the world. When you have an issue and you call the company, there are representatives available to help you in 27 languages. You don’t find such dedicated customer support with most other online brokers. These agents will help you in your language so the matter is understood clearly and a perfect solution is given. Furthermore, there is a live chat option available as well. The live chat option is available on the website so you can ask your question from a customer support representative instantly right after landing on the website. There is a support email address as well where you can send your emails if you are not in a hurry to receive the answers. Most importantly, you have an international numbers available that provides you customer support 24/5. You can also make a call to the company about your issue for free if you live in England. To make things even better, FXPRO has a call back option on the website wherein you can provide your number and ask the company to call you instead. FXPRO offices are located in five different countries and you have the numbers of those offices available on the website. You might not see such a detailed customer support page from any other broker in the industry. In addition to the support over the phone, you have the FXPRO website available in 20 different languages as well. It clearly shows that FXPRO cares about its traders no matter which country they come from. If one had to give a rating to FXPRO customer support, it had to be 5 out of 5. After knowing about FXPRO in detail, you are clear that the claims of being the best from the broker are not hollow. Winning awards for forex platforms and the overall trading experience is definitely worth noticing. Their customer support is better than most other online brokers. The list of tradable assets that belong to six different asset classes is quite a big one. Moreover, you have four different trading platforms to choose from. When you consider all of these things, you have to agree that the claims of being the best FX broker in the world are not wrong from the company. Not to mention, they are based on the verdicts given by world’s renowned magazines.